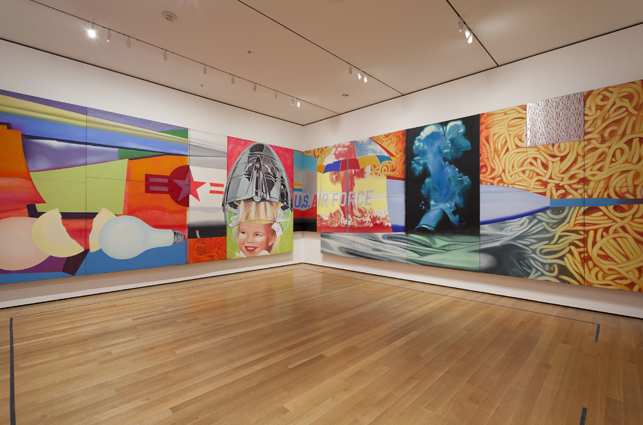 There’s no better way to cool down during the heat wave than by visiting MoMA’s Fourth Floor to see the last days that one of Pop’s masterpieces is on view: Rosenquist’s epic F-111. The great thing about this display is that the spectacular 84-foot-long, 23-section work is installed just as it was first put on public display in Castellli’s gallery on East 77th Street back in 1965…in a small 22 x 23-foot room in which the spectacular panels and images wrap around you (instead of spread out on a long, long wall). The thrill of this installation is being so bombarded with color, image, shine, and texture but not being able to take it all in at once. 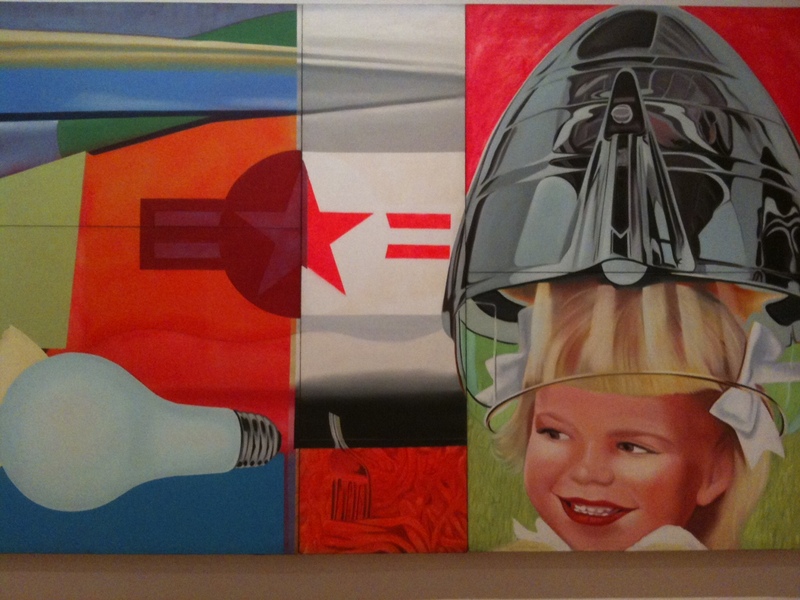 You can take time to meditate on the forces ripping through American culture in 1964, when Rosenquist created this opus. And listen to him tell about it on the MoMA web site. Get to MoMA and see for yourself. It’s a visual Sixties yin to Avedon’sb/w yang.